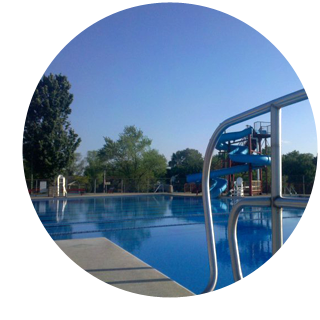 The Firestone Pool will open on May 25, 2019. It is mandatory that any person applying for a Resident Pass must show positive identification that they are residents of the City of Columbiana. The cost is $15 per child for one week. Call the pool office at 330-482-1026 for more information and to pre-register. Registration available during pool hours only. Pool Parties: 9 – 11 p.m.
75 people and fewer: $75 76–100 people: $100 Plus $20 per lifeguard on duty, which must be paid that night. To make reservations, call the pool office at (330) 482-1026.